Molly Bell is an eleven-year old girl who used to be a whimsical, sporty type of a child with a zest for living. All that has been turned upside down by the untimely death of her cherished mother two years ago. To make matters worse, her father is getting remarried to a high-maintenance beauty that Molly seemingly has nothing in common with, and she comes with an annoying six-year old son, Henry, who finds a way to wreck everything in his path. 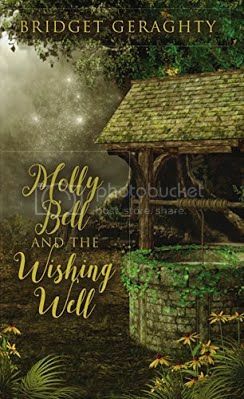 Molly can't find anything about her new circumstances to be excited about, until her Aunt Joan tells her about the wishing well at Molly's grandparents' farm. According to Aunt Joan, every wish she ever made there came true. And it just so happens that Molly and Henry will be staying at the farm for a week while their parents are on their honeymoon. Molly is convinced if she could just find that wishing well, she could wish for her mom to come back to life and everything will be okay again. But Molly is in for a few surprises, and more that a few hard lessons about being careful what you wish for when the consequences of Molly's selfish desires wreak havoc on her entire family. Can Molly make things right again through the wishing well? Or will she need to find it within herself to bring back the joy in her life that has been missing all this time? wall should have lulled her to sleep hours ago. But sleep didn’t come easy when your mind buzzed as busy as a swarm of bees. As hard as she tried, Molly couldn’t get the thought of the wishing well out of her head. What if Grandpa Cody’s wish didn’t come true because he didn’t believe hard enough? Didn’t Grandma Saige say that the power of a wish was be- lieving in it? What if Molly really believed as hard as she could, would it still be possible? The waiting drove her crazy. Too many questions remained un- answered. What did it look like? And why did her mom show it to her in a dream? That was it. Molly had to find out. And now was as good a time as any, since she wouldn’t be getting any sleep anyhow. Molly sat up, stiff and groggy, and pulled the cov- ers off of her. Luckily, the full moon outside cast a dull glow inside Aunt Joan’s room from the window. It gave Molly just enough light to find her way to her suitcase without turning on the bedroom light and risk waking anyone up. What should she wear? Molly decided on jeans and a long-sleeve T-shirt. Even though it was most likely still warm and muggy out, she didn’t want the bugs pestering her. She fumbled her way through the suitcase and got dressed as quietly as possible. That was very hard to do in a mostly dark room. But where were her sneakers? Molly’s heart sank. She had left them outside because they were muddy! Oh well, they were most likely still there. That was not a good enough reason for her to give up now. Molly snuck the two pennies on the nightstand into her jeans pocket for safekeeping. She was ready, but not really. Molly was nervous. She didn’t yet have a plan. Oh, well, just go for it, she decided. What else was she going to do, sit up all night and think about it? The first step would be to get out of the house undetected. Molly tiptoed to the bedroom door. She turned the knob ever so slightly. Phew, it wasn’t squeaky. Molly eased the door open and peered into the upstairs hallway. All the other doors were closed. Molly paused to listen. It was noiseless, except for Molly’s breathing, which sounded too loud. Molly put one foot out into the hallway to test and see if the floor was creaky. It was, a little. She imagined herself a burglar and inched across the side of the hallway, careful not to disturb any of the pictures on the wall. Her eyes adjusted to the dark- ness, but she could still see only about a foot in front of her at a time. 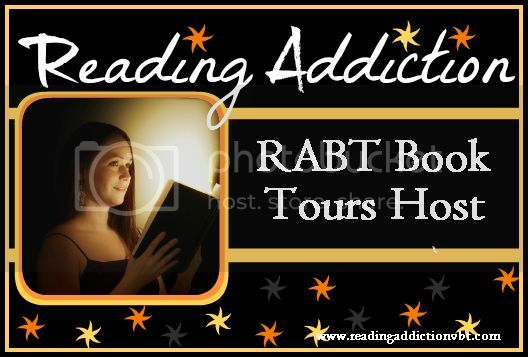 Molly held her arms out to feel her way, relying on all her senses to maneuver down the hall. The moonlight from the downstairs front win- dow illuminated the stairwell. She was worried about tumbling down and waking everyone up, ruin- ing her adventure. Not to mention hurting herself. So, like a fool, she sat down on the front step. And slowly, one by one, scooted down each step on her bottom until she safely reached the first floor. Once she was downstairs, Molly looked up to make sure she was still alone. She was, and she sure felt like it. Maybe this wasn’t such a good idea. It felt really creepy. She fought against the urge to get back upstairs and tuck herself back into bed. Maybe this would be the re- solve that was needed to show the wishing well that she really did deserve to have her wish come true. Molly steeled herself and carried on. She would need a light for outside. Molly remem- bered that Grandpa Cody had gotten a large, bright flashlight out of the pantry in the kitchen when the power had gone out during one of her visits. Molly crept into the kitchen. The refrigerator buzzed. Funny, she had never noticed that sound before. The light from the clock display on the stove showed her the way to the pantry. Molly eased the door open. Everything inside looked the same, mostly cans and boxes. She took a breath to give herself patience. One impulsive move could send everything flying off the shelves and cause a ruckus. She felt around the items on the pantry shelves, her fingertips guiding her from one thing to the next. Something felt like plastic. Molly carefully re- moved it and brought it close to her. It was a large container of ketchup. Disappointed, and not sure that she should bother to keep looking, she spotted a basket on the pantry floor. Molly knelt down and felt through it. Batteries, a radio maybe, and the flashlight! With a sigh of relief and thanks, Molly grabbed the flashlight. As much as she wanted to turn it on for help, she knew she had to wait until she was far enough away. So she clutched it next to her body and snuck out the side kitchen door, being sure to shut the door slowly and quietly. Thank goodness, Grandma Saige had left the outside light on next to the kitchen entrance. And there were Molly’s sneakers, placed neatly on the stoop. They had been carefully cleaned, shined up to a polish. Molly smiled. Grandma Saige must have done it. Molly pulled on her shoes and breathed in the damp nighttime air. She noticed that far off into the distance, past the vegetable garden and the fields where she was headed, it was pitch black besides the moonlit glow way up in the sky. It was so different than nighttime in her own neighborhood. At least there were streetlights there, homes all around giving a sense of not being utterly and completely alone. Here there was no such se- curity. It was just Molly, and the sound of bugs that couldn’t be seen. Molly stood and walked briskly past the vegeta- ble garden. She strutted with a purpose, her arms around her waist for comfort, clutching the still un- lit flashlight. She was approaching the pathway be- tween two rows of cornfields. She would follow this narrow dirt path to the end of the corn, and then she should be close. Molly’s concentration was broken by a rustling in the cornfield beside her. She froze, her heart screaming inside of her. It could be a coyote. Or a serial killer. What a fool she was! Her hands trembling, she pressed the button of the flashlight to turn it on, and shone it in the di- rection of the unwelcome noise. “Who’s there?” she whispered loudly, sounding more like a scared little girl than she wanted to. A shadowy shape emerged from the cornstalks. It moved low to the ground, creeping toward her. Molly scolded herself for going outside all alone. What kind of trouble was headed her way? Bridget Geraghty lives in northern Illinois with her husband and three children. She taught elementary school for eight years before focusing on writing. It is her sincere hope that her stories inspire and uplift the minds and spirits of her young readers.